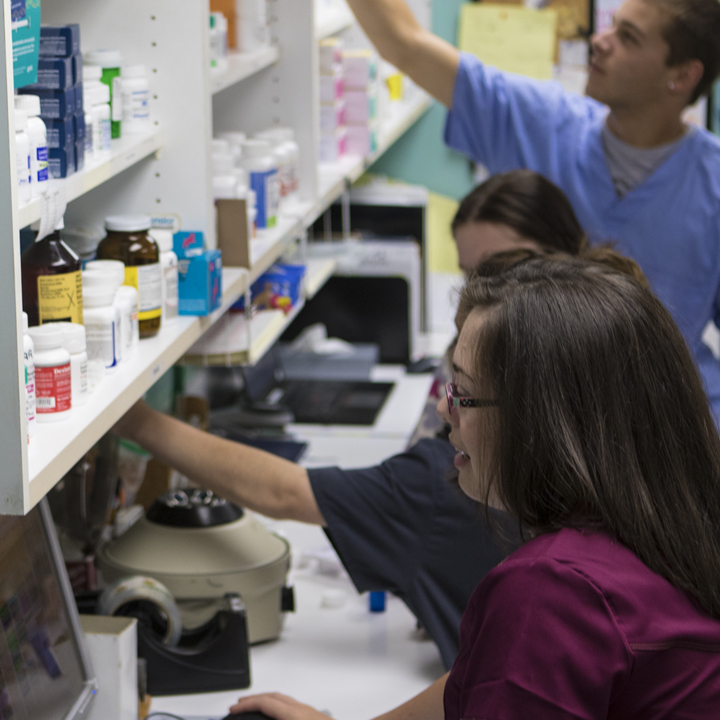 Our in-house pharmacy is stocked with many of the latest veterinary products and prescription drugs available. If we do not have the particular medication you request, we can usually write a prescription that you can fill at your local pharmacy. 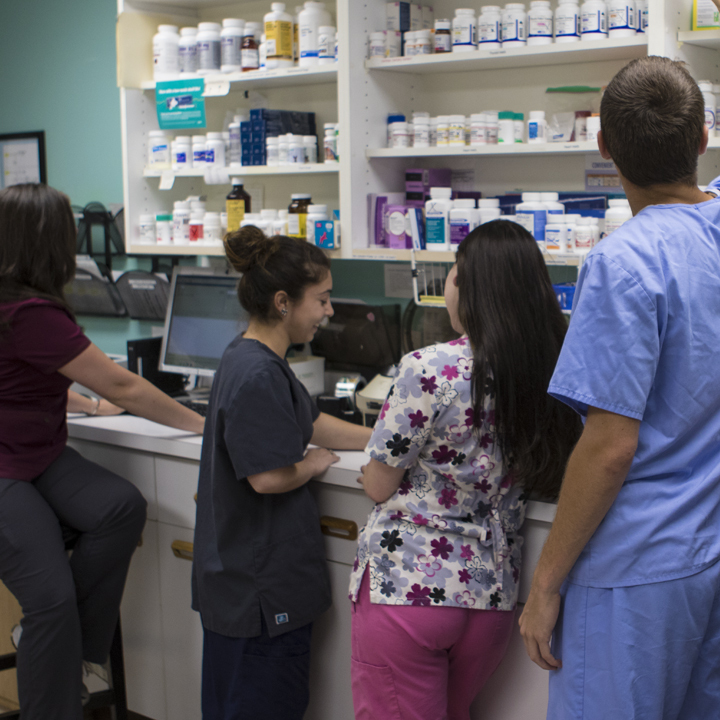 We also utilize various compounding pharmacies that make medications especially for animals. These medications are available in chewable treats, flavored liquids, capsules, and transdermal gels that are applied directly to the skin. If your pet is difficult to medicate, please ask us about compounded medications. 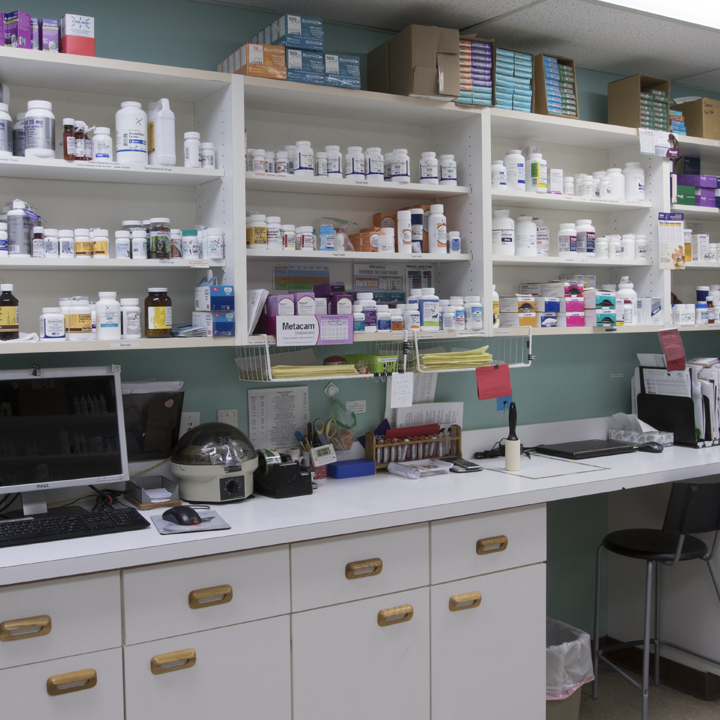 While we realize that veterinary medicines are widely available both online and at “big box” stores, we strongly encourage you to purchase your pet’s medications through our hospital as most veterinary drug manufacturers have strict warranty guidelines which can only be upheld if the medicine is purchased directly from your veterinarian. This is especially true for preventative products such as heartworm medication and flea and tick products. We have recently partnered with a licensed online veterinary distributor called Vets First Choice. Unlike discount online pharmacies, they purchase their products directly from the manufacturer. They work exclusively with veterinary practices and have created an online pharmacy for our practice. Products purchased through our online pharmacy are backed by all manufacturer warranties. To visit our online pharmacy, click here or click on the online pharmacy above. Please remember to call ahead for medication refills. In most cases, a doctor needs to approve the refill and a staff member needs to fill the prescription. It helps the staff tremendously if you call first. You can also order medications through Petly.